Chinese smartphone maker Oppo recently launched its flagship – Oppo Find X – and the USP of the smartphone is its unique motorised camera slider that pops in and out from the top. Unveiled in June, it is the second Android handset in 2018 that takes an unusual route to accommodate minimal display bezels and remove the ‘notch’ panels. While the manufacturer takes the cake for making one of the most innovative smartphone designs this year, a lot of people are curious about how the pop-up camera module works. A Find X handset teardown has now revealed the workings of the Oppo camera slider design. Folks at ZOL published the teardown, shared by MyFixGuide, showing off all the inner components of the Oppo Find X. It is similar to the Vivo Nex S, as most of the work is done by an actuator in the centre of the handset that lifts and lowered the camera slider. The teardown indicates towards a ‘dual-track’ periscope structure that comprises of a motor, some cables, and other parts. Additionally, the tracks also have cushioning to make sure the pop-up and down is smooth. All the components together enable the section to pop up for capturing images, facial recognition, and calls. 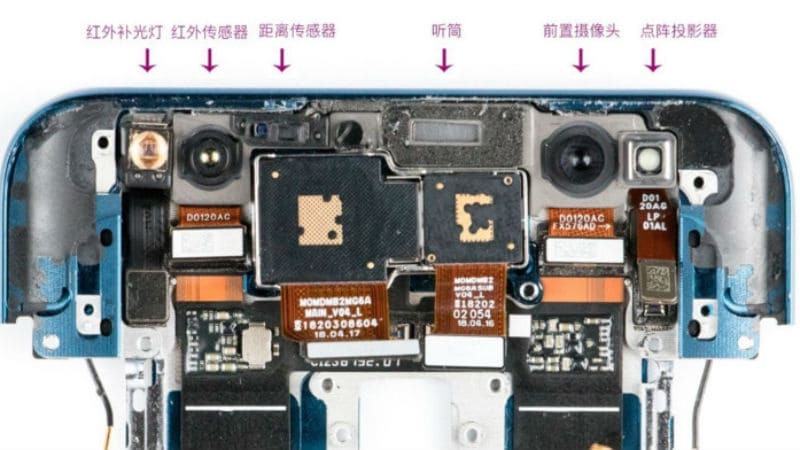 To recall, recently we saw a teardown showing the inner workings of Vivo Nex S, the other smartphone with a pop-up camera. The teardown had shown how the company removed the earpiece and managed to make sound travel through the display, and also how the in-display fingerprint reader works. To recall, the Oppo Find X runs on Color OS 5.1 based on Android 8.1 Oreo, and sports a 6.4-inch display. The phone is powered by a Qualcomm Snapdragon 845 SoC, paired with an Adreno 630 GPU, 8GB of RAM, and up to 256GB of inbuilt storage. As for camera specifications, the Find X sports a dual rear camera setup with 20-megapixel and 16-megapixel sensors, apart from a 25-megapixel front camera. A 3730mAh battery powers the internals from underneath the hood. The smartphone has been priced at EUR 999 (roughly Rs. 79,000) and India pricing and availability is expected to be announced on July 12.